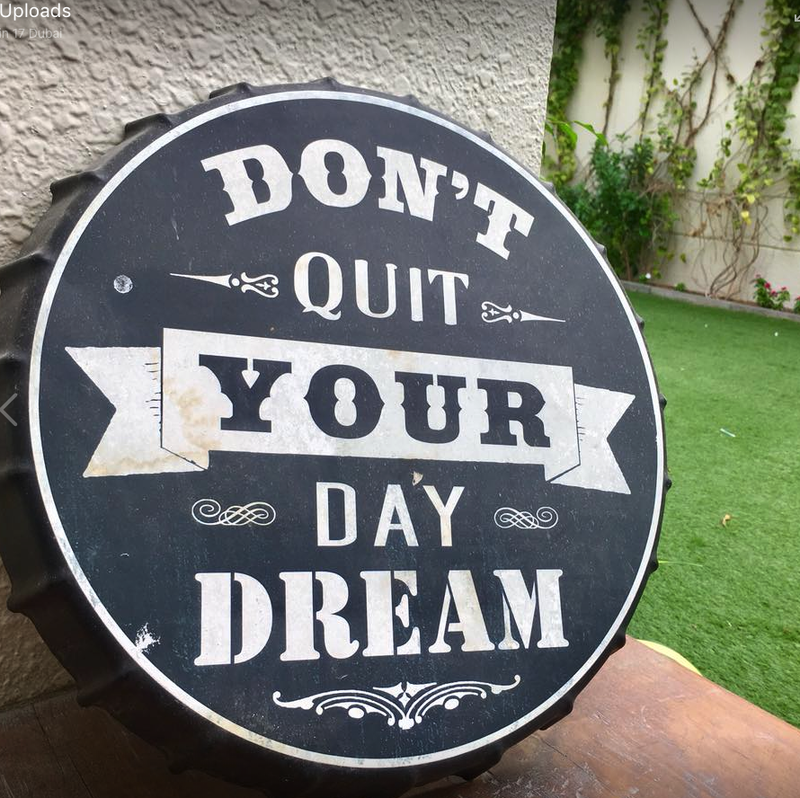 This "don't quit your day dream" message outside the beautiful Just BE studio in Dubai struck a cord with me. Stepping into 2018 I want to be a dream weaver for myself and many others, including you! I love the image of being a fairy godmother where I help others dreams come true. I'm here to help encourage you ~ DON'T QUIT YOUR DAY DREAM, and let me help! Big or small, dreams, the pursuit of dreams, the striving for dreams come true, the achievement of dreams and even our fallen dreams, are what brings sparkle to life. Without dreams I suggest we are bankrupt, in the stagnant land of inertia. So, what moves you? what may I do to help your dreams come true? Choose a Nia trainings and/or retreats to inspire you. Speak up, connect, let me know what I haven't dreamed of yet that could be helpful to you! Read more about Helen and coaching/guidance options. In physics, inertia means that objects tend to remain stationary until another object makes it move. Once moving, it takes only a fraction of the energy required to move it in order to keep it moving. Therefore, objects in motion tend to continue moving until something intervenes. If nothing stops the movement, it will eventually slow down and stop on its own. In relationships, inertia means nothing changes until someone starts the process. Once action is initiated in the relationship, it takes a lot less action to keep it going. But if there is no ongoing action to keep it moving, the relationship will revert to where it started. The same principle of inertia applies to the habits we need to break in the New Year. It requires a new, positive habit to displace an old, destructive habit. But if we don’t keep moving, we fall back into our old ways. Next: As we prepare for the New Year, you're invited to play with applying the concept of Cycle 1 of the Nia Class experience ~ "Setting the Focus and Intent"